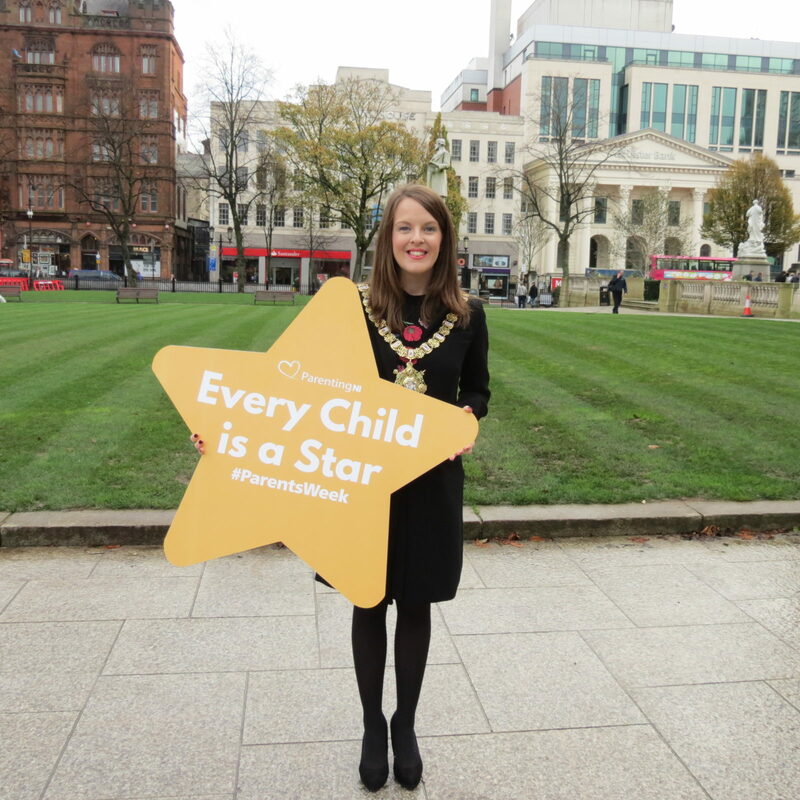 Rt Hon Lord Mayor of Belfast, Councillor Nuala McAllister, supports Parenting NI Parents’ Week Campaign – Every Child is a Star. 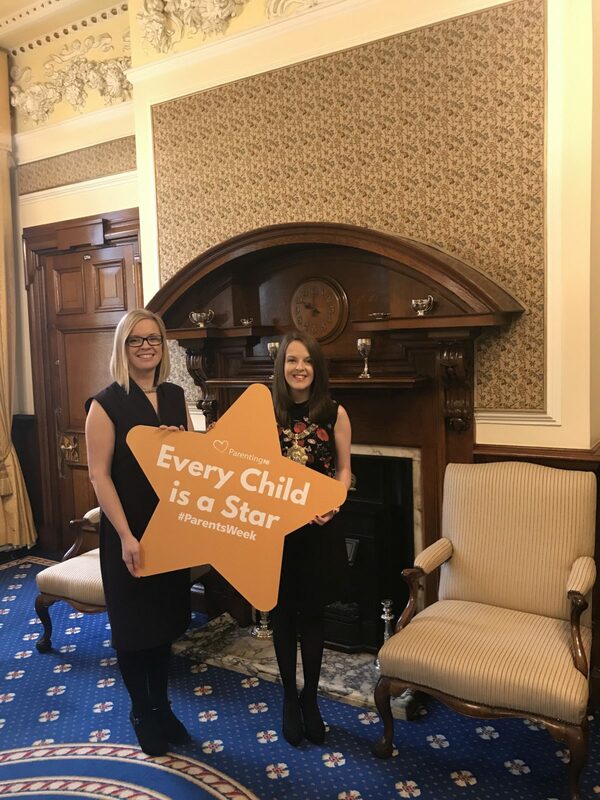 Local parenting support charity, Parenting NI, launched Parents’ Week yesterday with an event in Belfast City Hall focusing on how parents can be support to help nurture the child’s mental health and resilience. “We are delighted that Parenting NI has been chosen as one of the Lord Mayor of Belfast’s Charities of the Year. Parents’ Week is our biggest campaign in the year and this one is particularly significant as we know how concerned parents are about their children’s mental health.